Too much uric acid in your body is one of the causes of gout, a painful arthritic condition. This extra acid can create sharp uric crystals that create pain, inflammation, and swelling in the joints and tissues of your feet. Your uric acid level can build up if you consume too many foods with purines, like peas, anchovies, and dried beans. Your body might produce excess uric acid, too, which could make you more susceptible to gout. If your kidneys fail to expel the acid, you can experience these painful symptoms. Risk factors for gout are obesity, hereditary factors, alcohol consumption, drug use, an organ transplant, vitamins like niacin, and medicines like aspirin or diuretics. 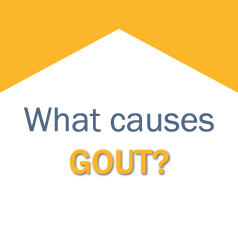 Environmental factors outside your body can also trigger a gout attack. Stressful life events and exposure to lead can contribute to this type of arthritis. Reduce your risk for gout. 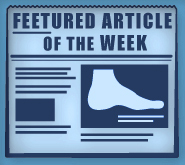 Call Dr. Michael Stein and Zeindelin Ahmad, DPM, at (510) 483-3390 to make an appointment with Foot Doctor of the East Bay in San Leandro and find out how. I have gout, do I need to change my diet? Gout and your diet go hand in hand. If you eat a diet rich in fatty, meaty foods, you need to consider changing your eating habits. Gout is an arthritic inflammation of the joints caused by too much uric acid in your blood. Any foods that are rich in purines will put you at risk for a severe, crippling gout attack that can last days, weeks, or months. Seafood, including scallops and salmon, are high in purines. When you eat red meat, try to stay away from turkey, lamb, goose, and any wild game. If it’s a special occasion, you can try beef or pork. You can eat asparagus, mushrooms, cauliflower, and spinach, but don’t go overboard. For drinks, avoid soda or any type of juice with a lot of sugar. Beer, and any type of alcohol, should be taken in moderation. When you have a flare-up avoid drinking alcohol of any kind. Avoid herring, tuna, and anchovies no matter what. Organ meats like liver and kidneys also should be avoided. If you need treatment for your gout, contact Foot Doctor of the East Bay in Pleasanton, Los Gatos, and San Leandro by calling (510) 483-3390.